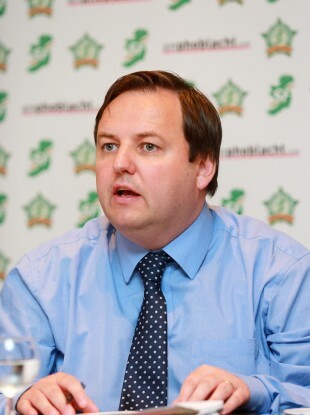 PÁDRAIG MAC LOCHLAINN has criticised the fact gardaí charge to police community festivals and sporting events. “It is not acceptable that local community, voluntary and charity groups are expected to foot the bill for policing services at events and festivals. The Donegal North–East TD made his comments after a local festival committee in his home county, which did not want to be identified, was charged €4,000 by gardaí to provide security at an event. Mac Lochalainn said many committees across the country face similar charges – noting some cannot afford the additional cost. “Charity events, community fairs and annual parish festivals are the lifeblood of rural communities. Such events encourage tourism and contribute to community spirit. “It is vital that these events are supported by government, as opposed to being made jump through the loopholes to pay for the effects of cutbacks to Garda resources,” Mac Lochlainn said. A spokesperson from the Garda Press Office said local Garda management “closely monitors the deployment of resources, to ensure optimum use is made of Garda resources, and the best possible Garda service is provided to the public”. They said they were “not in a position to discuss comments made by a named third party”. In 2014, gardaí receeived €4.7 million for policing private events. Section 30 of the Garda Síochána Act 2005 allows the Garda Commissioner, as Accounting Officer for the Garda Vote, to charge for police services on a non-public duty basis for commercial events such as sports fixtures and concerts. Email “This TD says gardaí charged €4k to police a community event - and he's NOT happy”. Feedback on “This TD says gardaí charged €4k to police a community event - and he's NOT happy”.